Our lives here at Frugalwoods HQ are luxuriously frugal. For us, frugality isn’t about deprivation or hardship, it’s about spending money only on what truly matters. The point of our frugality isn’t merely to save as much money as possible, the point is to create lives we love living. There’s no martyrdom or pain in our lifestyle of extreme frugality and we never feel as though we’re missing out on the riches of life. Mr. Frugalwoods and I aren’t ascetics or stoics, we’re optimizers. Anytime we spy an opportunity to maximize our savings, we grab it. It’s certainly possible to exist with zero creature comforts, but that’s frankly not the life for me. I’m out to create the most authentically experienced, delightful, passion-pursuing, humanity-improving existence I can; thus, I’m content with the trade-offs we make in order to retain our luxuries. So how do two people (that’d be us) who only spent $13,000 (plus our mortgage) in all of 2014 manage to live a luxurious life? We only spend in service of our life goals and on what we genuinely value. We don’t let anyone else dictate how we should structure our spending, we don’t fall victim to our culture’s clarion call to buy buy buy, and we don’t care what anyone else thinks of us (my decision to cease buying clothes and stop wearing makeup are elements of this). We’re serenely at ease in our frugal skin and when we do spend money, it’s because we want to, not because we feel we have to. Once Mr. FW and I taught ourselves to strip away all of the external reasons why we were spending money–to impress others, to keep up with our friends’ spending, to follow someone else’s advice, to adhere to cultural norms–we concluded there’s very little we need to buy in order to live our version of the good life. 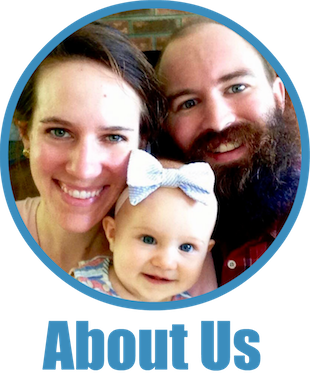 In addition to the fact that our lifestyle enables our overarching goal of reaching financial independence and “retiring” to a homestead in the woods of Vermont at age 33, it also makes our present existence much more joyful. Frugality has given us the gifts of peace, decreased stress, more time, and a greater appreciation for what truly matters in life. The underlying key is that we’ve identified the sweet spot whereby our lives are 1) filled with everything we need, and 2) our spending is optimized. This is the crucial alignment at which I believe luxurious extreme frugality is realized. There’s no satisfaction in stripping away every convenience, but there’s also no satisfaction in over-satiating ourselves with the endless consumer frenzy our culture prescribes for all of our ills. I think it’s all about striking your own personal balance. And we’re not the only people who live this way. Our compatriots at 1500 Days to Freedom, Root of Good, Go Curry Cracker, and Mr. Money Mustache have also discovered their own harmonious equilibrium between spending and saving. These folks live what I (and they) would describe as luxuriously frugal lives: they do as they please, they’re all married with children, and none of them feel they’re deprived in any sense of the word. Rather, they’re some of the happiest people I’ve ever come across. So what are our luxuries? I’m so glad you asked–we have a lot of them! As you’ll see below, with each luxury we indulge in, we strategically optimize in order to spend as little as possible. The Luxury: Frugal Hound. 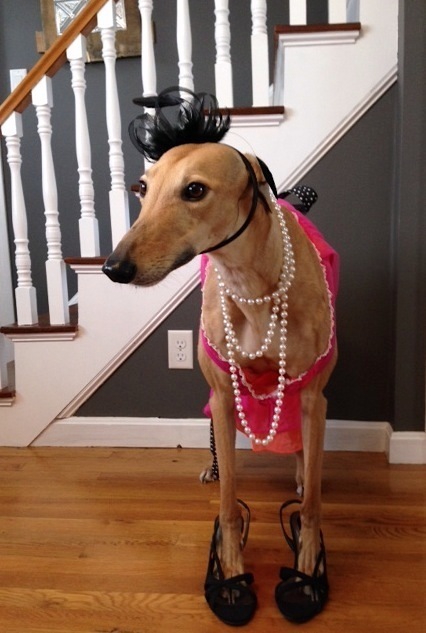 Without a doubt, our gorgeous greyhound is a luxury good. We love her deeply and she brings hilarity and cheer into our lives. We can’t imagine living without her and so, we’re happy to spend the roughly $900 per year she entails (get it? entails). 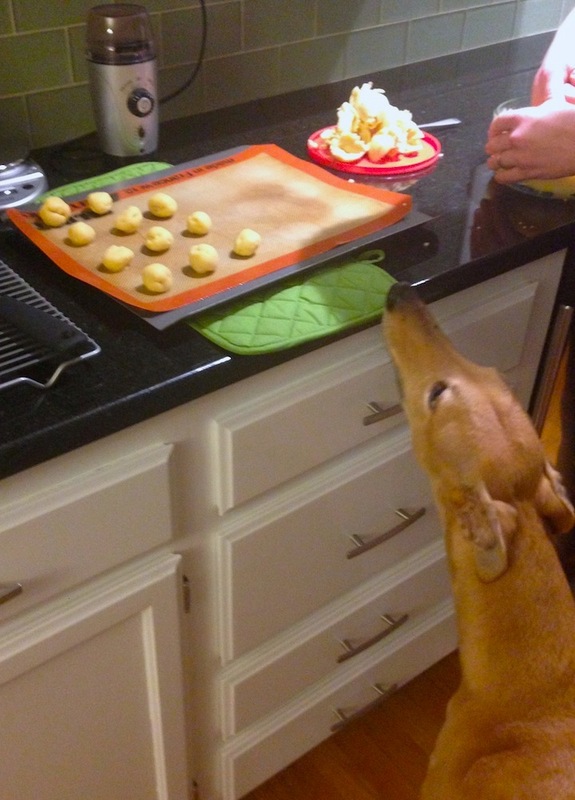 The Optimization: we carefully chose a breed of dog that’s darn frugal. Greyhounds, being rescues, are inexpensive to adopt and don’t require specialized doggie care. Their grooming is easy to DIY, they don’t need doggie daycare or a dog walker, they don’t necessitate obedience or behavior training, and they’re easygoing enough to leave with friends when we travel. They’re a laid-back, lazy breed that likes hanging around the house with their family and going on walks. Greyhounds don’t bark or drool, they’re not aggressive, and they’ll blissfully snooze the day away while you’re at work. The Luxury: Coffee! We don’t technically need coffee to survive and thus we consider it decadent, but, uh, we’re never giving it up. What’s the point of a morning sans coffee ;)?!? The Optimization: our beans are purchased from Costco for a modest price. We then grind them ourselves at home and brew our own coffee. We don’t buy high-end beans, nor do we go out for fancy caffeinated delicacies. In this way, we have our coffee and drink it too. The Luxury: Travel. Mr. Frugalwoods and I have traveled the world. Not quite all of the world (yet), but we’ve trotted around the globe. We value having our horizons broadened–literally and figuratively–and eliminating travel was never a consideration in our frugal endeavors. 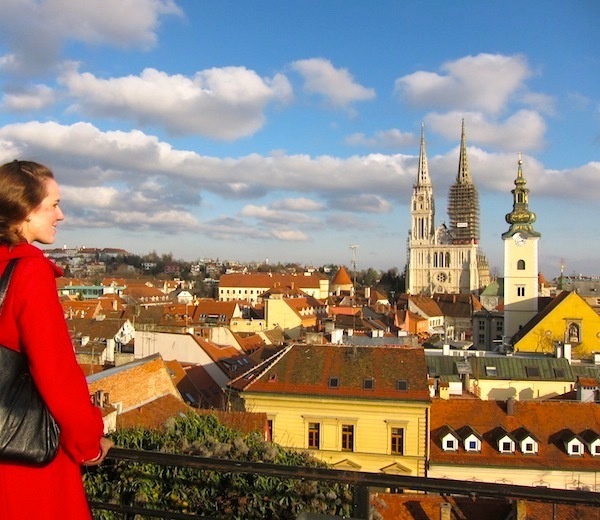 The Optimization: we travel at unusual times when flights are least expensive (for example, flying from the US to a foreign destination the week of Thanksgiving), we use Starwood Preferred Guest hotel points for free hotel rooms, and we eat and sightsee on the cheap while we’re abroad. The Luxury: Beer (and wine when Mrs. FW isn’t pregnant). We do quaff a nice drink on occasion and, while it’s popular in the frugal-sphere to go alcohol-free, that’s not something we wish to do. The Optimization: our economization of this consumable is two-fold: 1) we don’t drink very often–usually 2 drinks per week; 2) we buy it thriftily. Now, this doesn’t mean we consume cut-rate liquor, after all there’s nothing worse than inferior beer! Our Costco liquor store sells a 15-pack of Founder’s All Day IPA (a delightful brew) for a mere $16. And on the wine side of the equation, I’ve unearthed a fabulous source for discount fermented grapes: boxed wine. When I’m not with child, I’m particular to the Big House brand. The Luxury: Seltzer! Evidently we’re really into beverages around here :). Yes of course it would be cheaper to just drink plain tap water, but we loves us some bubbly! Drinking seltzer (without flavors or sugars) anytime we want, in any quantity we crave, is downright lavish. 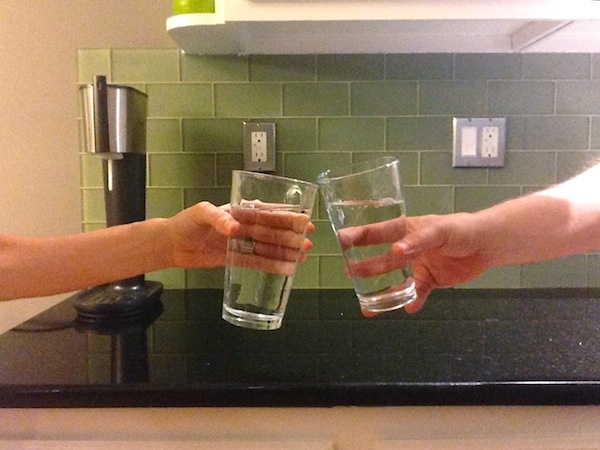 The Optimization: look no farther than our Great Sodastream Hack Of 2014 and then, to bring it to frugal boss level, our Great Homemade Seltzer Discovery Of 2015. Oh yes, it’s as thrilling as it sounds. The Luxury: Organic produce. I have no interest in sacrificing our health in favor of saving a few bucks, which is why we gladly pay the premium for produce every week. The Optimization: we’ve devised a menu that entails us spending only $300-$350/month on food for the two of us. Our secret? Most of what we eat is either fresh produce or purchased in bulk from Costco. We also shop at the thriftiest discount grocery store in the region: Market Basket. They sell the same produce as Whole Foods at drastically reduced prices. The added bonus? They treat their employees extremely well and are a local business. Something I want to emphasize is that everyone’s conception and experience of luxury is different. What we prioritize is probably not what you prioritize–and that’s completely fine. In the same way that Mr. FW and I don’t keep up with the Joneses, we also don’t keep up with those who are more frugal than we are. However, I do find it incredibly useful to gain insight from folks who spend less than we do because it provides us with novel ways of addressing our own frugal campaign. What I’ve realized is that it’s not a question of comparing ourselves to others in a negative way, but rather, of learning from the wisdom of others. The core difference here exists between critical comparison and constructive comparison. It’s easy to look at someone who is more frugal and think we’re terrible for spending money on, say, our coffee. But, it’s much more enlightening to observe their spending and reflect that they have an interesting approach we could try out. Comparison is a powerful and useful tool, as long as it’s wielded productively and with an eye towards education, not frustration. I don’t endorse the concept that everyone can, or should, follow the same path to frugality. We’re all on our own unique journey and I firmly believe there’s no “one right way” or secret to the good life. We each have to uncover our own best selves. The trick is to identify the personal luxuries you’re willing to spend money on, and then find methods for optimizing them. In the same way that Mr. FW and I continually quest for new tactics to augment our savings, challenge yourself to do the same. There’s nothing wrong with spending money–the danger only comes in when we’re spending into debt, an inability to save, or to a level at which we can’t sustain/pursue our life goals. Determine what you love, spend money on it, don’t stress about it, and eliminate all the unnecessary chaff. Since I bring so much awareness to the luxuries we do have, I enjoy them mindfully. I don’t carelessly slurp my coffee–I savor it. We don’t yawn through our travels–we immerse ourselves and relish every minute. In this way, we’re able to pinpoint whether or not a luxury is truly important to us. If we find ourselves not deriving a high level of pleasure from a luxury, then there’s no reason to keep spending on it. By bringing this mindfulness to our indulgences, we’ve eliminated things we used to spend money on that weren’t actually yielding a high degree of happiness. Here’s a very simple framework for distinguishing true luxuries: eliminate the luxury in question for a month and see if you miss it. The exercise of eliminating purchases is incredibly illuminating. As regular readers know, I’m a huge proponent of the month-long trial period for either starting a new habit or stopping an old one. After all, it’s only a month and you can always revert back the following month. And remember: No one else can tell you what to cut from your budget–you have to figure it out through your own trial and error. I think there’s a misconception that Mr. FW and I obsessively monitor our bank accounts and toil away crunching numbers, but in reality, we actually spend very little time discussing our money. Our spending is locked into complete frugal autopilot, which means we don’t need to budget or carry around a calculator with us. We’ve arrived at a place where we know what we need to buy and we don’t buy anything else. Our lives are focused on pursuing activities that fulfill us, not on hawk-like money monitoring. Our money is just sitting in the stock market, growing steadily, doing its money thing. There’s nothing to gain by exerting energy thinking about it all the time. I mention this because it’s a fundamental component of frugal opulence–we have the freedom to not worry about our money because we’ve saved so much that there’s never a concern about a check bouncing or an automatic payment not being covered. This is a very privileged position, which we fully recognize. It’s also a position that frugality built. Never worrying about money is a gift we’ve given ourselves through our frugality and it’s one of the most liberating and luxurious aspects of our lives. The difference between joyful frugality and dreary miserliness is being honest with yourself about what really matters to you and what doesn’t. The key is to locate your personal sweet spot between spending and saving, to relax into a pattern of frugal autopilot, and to never stop being curious about ways that you can optimize spending and improve your enjoyment of life. What luxuries do you enjoy in your life? How do you determine what to cut from your budget while maintaining an awesome quality of life? Hello from wet Wales, UK! My luxury is my horse, so a very large one! I have my own fields so I keep his expenses to a minimum with no expensive livery. Horses are expensive but I choose second hand quality tack, repair my rugs if possible or send them away to be washed and repaired. I do not buy into having the newest , trendiest equipment; I stick to quality items that outlast the latest trends.The rest of my lifestyle is on “frugal auto pilot” I dont think about buying things as I automatically buy reduced, second hand, free or repurpose what I already have. I too never worry about money or cheques bouncing as I have lived this lifestyle for years and have no money worries. I forage, grow my own veg/fruit, make wine, produce our own lamb, sew & repair, heat the house with wood as its free, use secondhand clothes that are usually given to me or from charity shops ( I restyle them if needed) etc .If I need an item I do not go out and buy it, I ask friends and work colleagues if they have one they want to get rid of, keep an eye out at charity shops or boot sales and usually one turns up for a fraction of the new price! I enjoy reading your posts as they make me feel less of a weirdo, but still a good bit of a weirdo! and happy with it! Our grocery budget is definitely a luxury, as are race fees and running shoes! Both keep us happy and healthy so I’m okay with it! Those sound like valuable things to prioritize! You really can’t put a price on staying healthy, so I’d say that’s a wise place to spend :). We refuse to make ourselves miserable. That’s not what this is about. I will admit that I do love to dream up ways to save money. Sometimes I make lists of new ideas to try or ways to optimize. There is not as much low hanging fruit as there used to be so it does require creativity sometimes. Absolutely! We’re definitely not out to make ourselves miserable either–there’s no joy to be gained from that! Haha, that pink ensemble is actually an old nightgown I used to play dress-ups with as a kid–it’s now the perfect Frugal Hound frock ;). Great post!! Our luxury is our house haha! We actually just bought an awesome house over the weekend (I’ll be doing a post soon!) and we couldn’t be more thrilled. For us, it’s affordable, but I will admit we are super frugal in other areas which is what allowed us to buy our dream home. We spend $400-$500/month on food for our family of four, we very very rarely buy clothes, we don’t spend much on entertainment, I don’t get my hair/nails done, we have zero expensive hobbies, etc. Haha our luxury is our house too Sarah!! We really are meant to be friends 🙂 Always happy to have friends that are part of the “I never get my nails done” club too! You know, I think we could probably consider our house a luxury as well, now that you mention it :). Sarah–huge congrats on buying a place! That’s so exciting! We also view our “frugal” life as very luxurious, not deprived. And we like to say that frugal optimization is like getting the best deal on everything you need, rather than finding bargains on what you don’t need. One of our intentional luxuries is also travel–mainly family vacations and church retreats now that we have kids–although we did some globe-trotting earlier in our marriage and have never regretted spending that money. And I’m spending a hefty sum to go on a missions trip to India this week, but it’s worth it because it fits in with our life purposes. I like your definition of frugal optimization–that’s perfect! It’s easy to think that just because something is on sale, it’s a deal, but, it’s a waste of money unless you truly need it. And, I think spending that fits with your life purpose is the ideal type of spending! That’s what frugality is all about, really – splurging on things you truly find value in and forsaking everything else! We have a few splurges and I’m fine with them because we’re cheap where it matters. Absolutely! It’s all about spending on what you value most. I like the idea of trying it for a month without. My luxuries are coffee (though I mostly drink free coffee at work), organic produce from the CSA (which is way cheaper than buying separately), seltzer, and my morning smoothie (kinda pricey protein powder). I also like fine wine. I am the member of two wine clubs, which net about 14 bottles a year. One of them comes with a free glass for me and a friend, every single day, at the winery. With 2 kids and a full time job, I’ve enjoyed this perk 3x in 6 months. I also don’t drink often for weight control reasons (oh, the perils of the mid-40s). So I tend to save my 14 bottles for get togethers and parties, where I can have a glass or two and share the rest. Sounds like you have a wonderful sense of your luxuries and, I think it’s great that your wine luxury yields a togetherness luxury of being shared with friends. Sounds pretty ideal to me :). Yup. This hits the nail on the head for me. It’s part of my maximum reward for minimal effort/maximum luxury for minimal spend philosophy. We spend probably more than most people on travel (over $3,000 a year recently) but get a lot out of it. In two months, we’ll be heading to Japan in first class suites round-trip on Japan Airlines for just $167 total out of pocket through judicious use of frequent flyer miles. Most people probably can’t get two roundtrip interstate flights for that total, and we’re flying around the world in luxurious beds surrounded by gourmet food. To save money on beer, I have to earn it. I only buy myself craft beer on my birthday or if I’ve been doing enough manual labor to justify it as a reward. For instance, last night I was laboring over whether to buy a $9.99 six pack after working on our rental property and building a shed all weekend. I ended up not spending the money because I didn’t think I’d put in enough work yet. Travel is an awesome luxury to spend money on! And, I’m super impressed with your first-class tickets to Japan–nicely done! Mr. FW went to Japan a few years ago, but I’ve never been. Would love to go someday! I like your beer buying calculation–that’s a great way to do it! We’re pretty frugal in most areas of our lives, but I do budget for us to spend $150 on entertainment. This mostly consists of us going out to eat or drink which we both enjoy doing for the experience. You’re wise to budget for your luxury–that’s definitely the smart way to do it :). And, it’s great you’re getting the added bonus of a meal and an experience! Love, love, loved this! 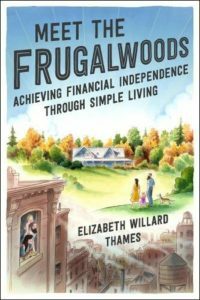 Especially this part –> “frugality isn’t about deprivation or hardship, it’s about spending money only on what truly matters.”. I think that sometimes people take frugality a little bit too extremely and forget to actually enjoy their life because they deprive themselves so much. Unless that’s out of actual necessity, there’s no reason for that kind of extreme frugality that can make you miserable. Totally agree! It’s all about building the good life, in my opinion. Definitely coffee, wine, and seltzer! We also have a cat, but she is dainty and costs just a few hundred dollars a year. A friend watched her for free while we vacationed, so now I guess should bake him something. Or something. Also: Gym membership. I can only seem to exercise in a group fitness setting at a scheduled time. Otherwise I do nothing. Pull-Ups for nighttime. Waking up to wet, ammonia-smelling, and often poopy cloth training pants was making me unhappy disproportionately to the money saved. I cloth diapered two at once, so I know of what I speak. 70% cacao chocolate. My preferred method is to buy Ghirardelli baking chips. Just as tasty as bars, but easier to eat juuust a taste. Yes to pull-ups at night! Although we actually shell out extra dollars for the Huggies overnights for two boys. One is potty trained during the day, so we just have the overnights for him. The other is only 6 months and I would frankly rather pay extra for a diaper that I know won’t leak than get up and change a diaper in the middle of the night. (I’m kind of lazy and like to sleep!) The rest of the day he’s in aldi’s diapers, which are the most cost effective in my area. Kudos to you for CD-ing two at once. Impressive!! LOL, I found all disposable diapers to be virtually magical in comparison with cloth. I did cloth overnight with some trial and error; by the toddler years, this was: 1 large, good brand microfiber insert, 1 hemp insert, inside a pocket diaper, and on top of that, pull-on waterproof pants. It worked. It did, however, also (a) smell terrible and (b) make them look like they were preparing for some sort of crash landing. We had free utilities during some of our heaviest cloth diaper usage years, so we had extra incentive to make it work! I really appreciate this post. This is how my husband and I live our lives – we are frugal so that I can stay at home with our four kids and home school them. We enjoy ourselves, but we don’t feel like we need to keep up with other people. We save responsibly and splurge rarely and only on the things that make us happy. I really appreciate your blog… I’ve followed so many other financial blogs and am starting to realize they’re all about SPENDING – how can I get the best price for all the STUFF I want to buy? I want to shake them and make them realize that they would be so much happier without it all! Thank you so much for your kind words, Abbie! I have that same feeling about the quest for “finding deals”–I tend to believe it’s much better/more liberating to just not buy the stuff in the first place :). I think it’s wonderful that you and your husband have been able to create the life you want to live–that’s the greatest gift of all! And, I’m eager to see how we do with Babywoods too :). So far, so good (we’ve only spent $20 on baby stuff to date 😉 ). 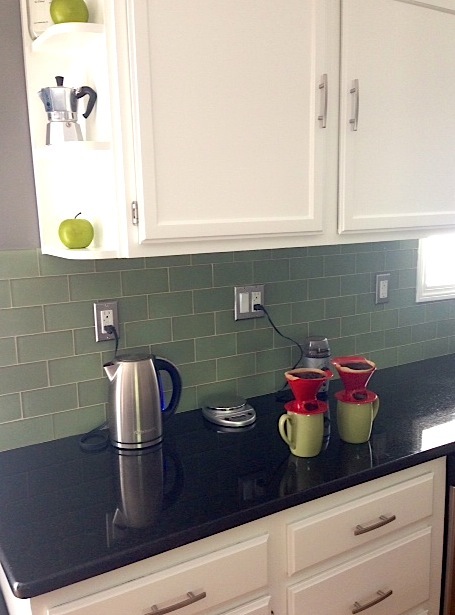 I love the idea of optimizing the luxuries you choose to enjoy. For me, a big luxury is travel. I don’t think I’ve fully optimized on that front yet, but I do try to save wherever I can. Another luxury for me is eating delicious food, and I have done a good job in the last year of learning to cook some of my favorite meals so that I don’t have to go out to eat them! Shopping at Market Basket helps, of course! Travel and food are both good ones :)! And, that’s awesome you’ve learned to cook your favorite meals–that makes a big difference for us too. Can’t beat Market Basket :)!!! Hooray for greyhounds :)! They really are amazing dogs (although I might be a tad biased). I love your mindful approach to budgeting. And being grateful for everything you have. It took me a long time to grasp the importance for gratitude. Food and travel tend to be larger budget items. Things I’ve given up? Home decor, new clothing, fixing cosmetic things on the car, etc. You’re spot on about the importance of gratitude. That mentality definitely plays a big role in how we think about our spending and our lives. I like that you’ve eliminated the appearance-focused things in your life–I think that’s such an awesome approach! I love the theme of your recent posts. So many people equate frugality and miserliness and think that one can’t possibly be happy spending less money. It’s one thing that draws me into many of MMM’s posts too. He always talks about the luxurious things that he has…you just have to know what you value, what you find important to you…and optimize of course. Thank you so much! I really do believe there’s so much to be gained by spending less. And, like you said, it’s all about what you truly value at the end of the day. Very well put. I think if we pinched literally every penny, we would (1) go crazy and (2) abandon frugal ways in favor of Random Acts of Spendthriftiness just to let off steam. Somewhat modest houses and cars are just fine, and save us SOOOOOO much money that the other luxuries fit comfortably into our budget and leave plenty of room for saving, investing and retiring early. Per usual, you are spot on. “Random Acts of Spendthriftiness” is a great way to put it and we feel the same way. If we lived entirely ascetic lives devoid of the stuff we enjoy, we’d feel miserable and would likely retaliate with far higher spending. I think frugal success comes from living a daily life of contentment and joy. Like someone else touched on above, I think this is a key tenet to frugality – knowing what you value and wisely spend towards that end making the choices necessary to make it possible. We have a few luxuries and allow extra for those because we’re cheap in so many other areas of our spending. That being said, could not agree more on our luxuries all being different – if they were the same life would be awfully boring. Absolutely! It’s definitely a personal decision about what to prioritize in your spending. Knowing what we value is such a key aspect of being able to joyfully frugalize the other aspects of our lives. I splurge on two massags a month. I frugalized them by signing up for one of those massage places that have discounted rates for members. Most of the staff is new, but I don’t get a fancy massage, so it works for me. I also take a vacation every year. I feel you about the freedom that comes from not needing to pay attention to your money. I checked my bank account one day, to make sure something was received, and I was surprised to find my paycheck for the month had been deposited! I’d forgotten about it. It’s a nice change from years ago. It really is wonderful to not need to monitor your money on a daily basis. It’s just such a liberating aspect of frugality! I’m so glad to hear you enjoy that luxury in your life :). And, nicely done on the massage discount! Everyone values different things in life. I love traveling and spend money on it, but I know plenty of people who hate it. I don’t get why they hate it and they don’t get why I love it haha. Everyone is different! So true! We all have our own unique indulgences, which is absolutely what makes the world an interesting and fun place :). I’m with you on travel–I love it! Everyone has different values and priorities. We splurge on different things. I love the idea of savoring my coffee 🙂 Maybe when the kids are older. But in all seriousness, so much of what we (as in my family) do is because of short time. Short on time meant expensive prepackaged food or eating out. It meant paying others to do work we could have done. It means rushing through without savoring. Buying mindlessly – because we are at the store and maybe one day we will use this and we don’t want to have to come back later. I think this is why frugality and life simplification go hand in hand! Totally agree with you that frugality and life simplification are interrelated. We’ve definitely noticed that our lives are simpler and more peaceful with our frugality regime. It’s so interesting how it impacts every aspect of life–in a positive way :)! Our luxury is buying muffins from a local deli around the corner every couple of days. I may or may not be joking when I say we prefer this to going on vacations. As a keen traveller (with an interest in travel-linked credit cards), I am wondering if you have recently done an “optimization” assessment with respect to your Starwood Amex. My husband and I also have the SPG Amex, but we tend to favor our Marriott Premier Visa because: (1) the annual fee (slightly higher I believe than the Starwood) gives a free night’s stay certificate each year (and we have used it every year for a stay worth at least 25% more than the annual fee); 2) double points on restaurants (not important for you but useful for us); 3) double points for airline ticket purchases; and 4) no foreign transaction fees. I also have compared the availability of Starwood hotels vs Marriott-branded hotels (there has been a significant expansion in brands in the last few years) in the places we like to travel and in the range of hotels we like to stay in when we a) spend our own money (or the company’s money) and b) spend our points. For us, it turned out that Marriott generally does a better job of our satisfying our wish list (especially because of the wider range of properties in the 3-4* range, as compared with Starwood). We don’t like to churn credit cards, but we do reassess every year or so whether our current set of cards is actually providing us with the best value for any $ spent (on fees and paid stays). Generally, we’ve found that hotel-branded cards offer more reliable benefits these days than airline-linked cards. Agreed on finding YOUR sweet spot. Everyone is going to be a little different. Our luxuries are family travel/vacations. We love sharing experiences as a family. Very true–it’s all about what you value! And, I’m with you on family vacations. That’s definitely something we prioritize too. For me it is definitely coffee and circuit training classes. For my husband, it is probably having the football package. We both gladly give up other things in order to have them. I have so enjoyed reading your blog — and I have read every post now! I am much older than you, in my late 50s, and I wish I had learned earlier what I know now. Your way of frugal living is practical and sustainable, and you will live a much happier and less stressful life than I have. 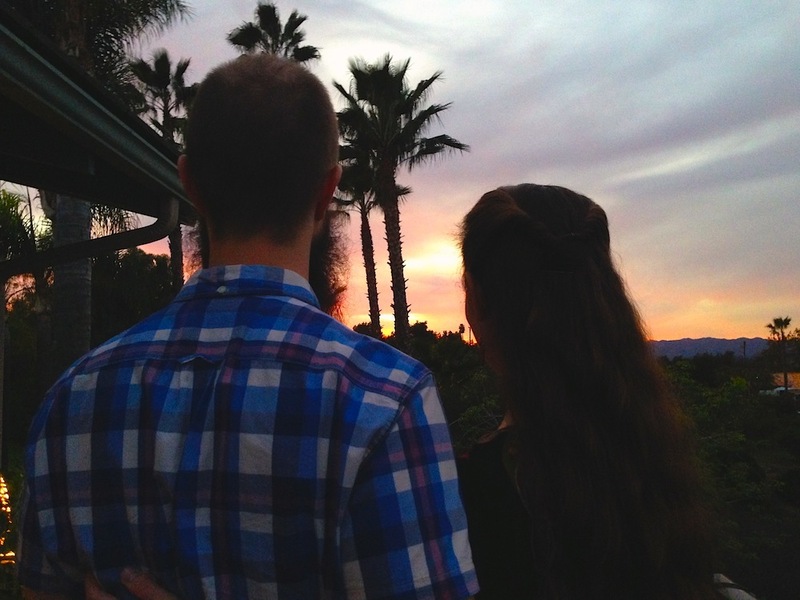 My husband and I both left long-term marriages (almost 25 years each!) with MOUNTAINS of debt, and continued spending like there was no tomorrow. We had “learned” that if we wanted it, we should have it, and RIGHT NOW. Now we are facing retirement in a few short years, and have committed to paying off the debt and being able to live a carefree, full of fun and travel, retired life. It took some doing on my part to get him on board, but now we’re living a frugal-er and happier life. Best wishes to you on your Baby Frugalwoods and keep on living your frugal weirdo lifestyle — you are an inspiration to me and ot countless others. Thank you so much for your kind words, Susan! And, I’m super impressed you read every post :)! I think that’s wonderful you’ve found a happier, more frugal lifestyle. We certainly see a correlation between our happiness and our frugality. It’s definitely a fulfilling way to live :)! Optimizing the luxuries is key! It’s fine to enjoy the finer things club, but it’s important to understand if your doing it as frugally as possible. Totally! There are ways to frugalize just about everything in life! My pets are definitely my luxury! I can’t imagine not having them! But I still try to make pet ownership as frugal as possible. For me it’s getting my hair cut every 8 weeks. It has less to do with how people feel about me but how I feel about myself. I feel like a sad, stringy hippy when my hair is too long (for me) so when I get it cut it feels like I’ve lost 30 pounds and there is way more pep in my step. While I’m not quitting that luxury any time soon, I am looking for ways (i.e. other stylists) who will do it cheaper than the lady I’ve been going to for years. Other areas in my life have been way easier to downside. I LOVE LOVE LOVE movies, but you can’t even compare a $15 movie versus $1.64 from redbox, even if I have to learn to be more patient waiting for those movies to come out. So it’s a balance thing. Figuring out those trade-offs is definitely a key part of it. Sounds like you’ve got a good system going with finding cheaper haircuts and feeling awesome about yourself! Before making a purchase or spending money I make sure it is something I need, or something that I will use often and will provide me utility. For example living in NYC, working out from home is basically impossible. I pay for a gym membership. I love going to the gym and try to work out 4x a week. I even haggled the price of my membership 😉 Other things I don’t mind spending money on is travel, especially when it’s to spend time with friends and family. Nicely done on haggling for a cheaper price! It never hurts to ask. And, travel with family and friends is a big one for us too. Great post, it gets to the heart of the whole point of frugality. I wholeheartedly agree that once you clear the noise of stuff that adds little to your life, you enjoy those carefully chosen luxuries that remain even more than before. Double bonus! So true! For us, frugality is about creating a life we love living, so it’s certainly a virtuous cycle of spending less but enjoying more! Unfortunately, there are some things that aren’t even luxuries that we just can’t cut. Like water delivery. Even the filtered stuff tastes funny. We were filling jugs by hand at 25 cents a gallon, which wasn’t bad. Then our health worsened, so we have to pay for (ugh) water delivery. And my husband finally cut out soda, so now he guzzles water too. It’s very, very pricey. So I guess our version of “luxuries” are usually just things we can’t do ourselves without wrecking our health. Still, having those services does make our life easier, so I guess that still qualifies. I think prioritizing your health is a smart one. It might cost more, but you’re making wise decisions for the long term. I just talked about something similar WRT time and television in my household. We only have so much time, life, money, etc. For some reasons people like you two or my family are the weird ones for consciously making choices on how we spend any of that. Instead, it’s expected that we just roll right along with the crowd. No thanks! Very, very good point about usage of time. It’s so crucial to us to make each day count and it’s definitely the primary motivator behind early retirement for us. I just want to tell you how much I enjoy your blog. I am a new reader and just found your blog from the forbes article (i think it was forbes). 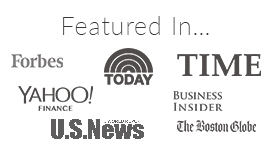 I love finding deals and I recently started my blog mommydealtor.com. I was and still am having somewhat of an identity crisis. I guess many bloggers do it. I am trying to cut our expenses in our own life so I can stay home with the kids. Frugality and the simple life is a new interest of mine but it’s hard to reconcile that with writing a blog that talks about shopping – even it if talks about how to save on things you will buy. I was super excited to find your blog and realize there is such a thing as luxurious frugality. Just wanted to say hi! Thanks for saying hi, Nicole! Glad you found us :). I think it’s all a balance between frugality and spending wisely–there’s certainly a sweet spot to hit there and I’m sure you’ll find it. Best of luck to you on your journey! When I started on the frugal bandwagon, I was way too far on the spending on nothing and now I think that I have calmed down a little. We have recently moved to a bigger house (ahh, gasp in a better school district for our son). Our house is our huge expense that we splurge on and this move was to our forever home so we have done our spending on the remodeling and all of the work that we have put into the house. I have never been a makeup, nails or clothing girl so it wasn’t a big deal to give those up. The biggest change was to cut down to eating out only once a month or limiting our eating out spending. I worked really hard to cut back out household spending and I do really well keeping all the spending under $160 per month on average. We are working on our new normal now that we are trying to settle into the new house and finish the construction project!! This is a great reminder that there is a balance to achieve. Sounds like you’ve found a great balance! I think loving where you live is an important part of living the happy, frugal life. After all, we spend a lot of time in our homes :)! For quite a long time I felt like an outlier because I’ve never used a budget. It just never jived with me. I’ve found very mindful spending to be a much more holistic frugal path for us. So easy to forget that just by having a roof over our heads, food to eat, healthcare, we are so very, very fortunate. Even those things could be interpreted as a luxury by many people all over the globe. For that we are incredibly appreciative. ( shameless plug) is one of our favorites. I completely agree with you on the luxury of having safe homes and access to food and healthcare. We cannot overstate how privileged we are to have those things! And, I think it’s wonderful you support charities you believe in–that’s something we’ve always done as well. ” cease buying clothes and stop wearing makeup ” – I read this line too quickly, and for a second I thought it said “cease wearing clothes and stop buying makeup” 😀 Thought you were going greyhound on us! Hahah, that’d be one way to save more money ;)! That is a good example and definition of frugality, Frugalwoods. And, I like how you live your frugal life. It’s very easy and it’s like it is one of the best ways to have a frugal life such as yours’. Congrats! I’ve cut movie theatres and paid-for-music.I listen to the radio or youtube. My not really frugal thing is that I bought a 16 foot salvage boat for 100 bucks. I will gut the floor(&replace it),learn to make cushions(sew! ), and learn to make a waterproof cover.I’ve already bought the snaps and have done some fiberglassing.Keepin the budget real.Youtube for learning…yeah !!! That boat sounds like a fun project, and getting it for $100 and fixing it up sounds like a solidly frugal affair to me! Good luck! I started simplifying my life for mostly environmental reasons, but I quickly realized that a simple life was healthier and made me much happier… not to mention wealthier! That is definitely luxury in my book. Like you said, everyone should try a month of a frugal challenge…. which really just means less wasteful…. or a month of minimalism which means using a minimal amount of stuff and experiences for maximum value. Have you ever seen or read “No Impact Man”? I like his philosophy because he went a year without using many resources including electricity, toilet paper and coffee! The key is not to deprive yourself for the rest of your life (or even a day when it comes to TP ;), but when you pare down, you start to realize which things and experiences really make you happy and add value and pursue just those things and experiences without all the distraction and background noise of what society says we should have or do. Haven’t seem no impact man, but I’ll look it up. Sound interesting! I do think it’s neat how often being financially responsible overlaps with being environmentally responsible. Win/win all around! Great tips and points. You are able to have some luxuries but still keep them fairly frugal. Great post! I might be breaking with blog protocol by commenting twice, but I wanted to add one other comment that is unrelated to my first comment. Right now, I feel as though there are too many “less-than-thoughtful” luxuries in my life and not enough frugality. But I know there is one area where I will continue to spend $, and that is to support artists with whom I have a personal connection. I am a (part-time) photography student, and when I take a course or workshop from a photographer whose work I admire, I try to buy their work (usually a book, if they have one, because there isn’t enough wall space to hang their work in our home) – or even contribute a small sum to a kickstarter or similar project if they have one. Hey, comment away! I hear you on supporting the arts. We actually have some amazing art on our wall from an artist we’ve always admired. It wasn’t cheap, but it makes us happy every time we see it AND it supported his work. It’s important to “spend your values” and supporting art is a solid choice. I obsessively watch my bank accounts, is that wrong? I agree no one can tell you what to cut out of your budget. I left lots of room for some of the things we like to do. I even started buying some tools for woodoworking as I find deals (both a hobby and to do some home improvement projects- win/win). Woodworking is both a hobby and a black hole for money 🙂 I know from experience! Beautifully written! I like how you recognize luxuries as luxuries and agree that not frittering away money mindlessly is key. Thirty years ago, when I finished grad school and got my first professional job (nonprofit), I started writing down every cent I spent in order to find money to pay back my student loans. My luxuries now are $50 a month for entertainment (sometimes I don’t even spend that much). This includes dining out with friends. I view dining out as a social event and never do so just out of convenience. And exercise/dance classes. Sometimes I find them for free, other times I use Groupon and other vouchers. But, it is important for my health to stay active and I enjoy it. 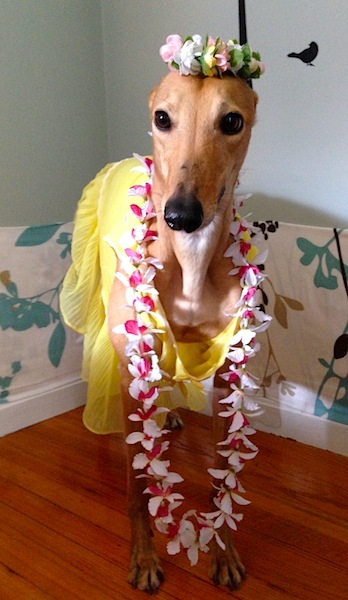 Let me know when Frugal Hound starts giving Hula lessons. A few things to consider when thinking about relocating to this area, in no particular order. Pay attention to the geography. You don’t want a place where the sun sets at 1PM. Make sure there is a bit of arable land, watch out for ledge underneath the soil. Look at the level Internet access available, reliability is a whole other story. Be prepared for some of the coldest winters and heaviest snow, this area has the highest snow load rating in the state. Buy a truck with a plow or the biggest snowblower you can afford. Prepare to just hunker down when the weatha happens. Make sure you can heat and cook when the power is out for at least 3 – 4 days. When Irene came thru it was 2 weeks. You will love it here, you will know you are alive! Hi Chris! I’m delighted to hear you live in our dream homestead area :)! Thank you for all of your thoughts and advice–most appreciated! I bet you would have great insights on the posts in our Frugal Homestead Series too :). Internet availability is a huge one for us–its absence is actually one of the deal breakers for us with prospective properties. Thanks so much for stopping by and saying hi! All electronic devices need to be protected by a surge suppressor or even better an uninterruptible battery back up power supply (UPS). This area is not the big city. There are constant power spikes, under voltages and brown outs. Some of this is caused by the move to more “renewable” energy, but the reason really doesn’t matter. Just know that if you have an Internet modem or an FM radio, stereo, TV, etc, then it needs to be protected against the aforementioned power uncertainties. Given the longer term cooling cycle, you probably need to add some kind of greenhouse/solar growing cycle into your calculations. We have certainly seen the cooling here in the last few years. Any talk of “warming” is met with much derision. And of course, the major thing to consider, if moving into this area, is Govt., be it Local, State or Federal. While the local laws/requirements are much less than other areas, you still nee to be aware of them. The first thing you should consider are the legal implications of living in this area, especially if you are thinking about AirBnB. You want to minimize your liability. For example, put your property and any assets into a Trust. I am not a lawyer, just check the concept out. Forewarned is forearmed. I think I mentioned Internet access in the previous post. Just got off of a 7 day voice outage with Fairpoint. At least we had cell phones as a backup through ATT. The thing with Fairpoint is that their 5 largest shareholders are hedge funds who are actively interested in selling the company. The company is now trimming expenses to make a more attractive sale. So this spring they laid off 10% of their work force. Their business model is an ever increasing share of a decreasing market. That is your Internet provider. So hey, living HERE IS GREAT!! Don’t tell anyone. Please do not go into the briar patch. I’m not sure how it works in the US, but in Canada, if you want to donate a kidney to a friend, you go thru a ton of tests that provide a very good look at your health, paid for by the health plan. And don’t forget dark chocolate. I eat 1 oz / 30g each day of 72% chocolate. Lotsa anti-aging antioxidants, like coffee has! Yum. Dark chocolate is a good one! My luxuries are my poodle http://www.tomtrottier.com/tomAndDancerFB.jpg and my computer(s). Get a smart dog and smart computers! Currently running 4 screens with usb3=>vga converters, 2 of the screens rescued from others’ garbage. 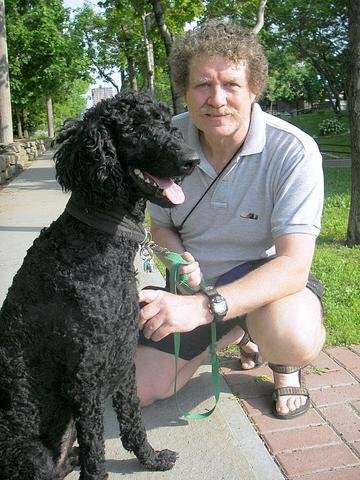 The poodle was a rescue too! Pets are a wonderful luxury to have! We certainly wouldn’t trade Frugal Hound for anything :). Your poodle is adorable! I splurge on things which I think are important at this point in time such as high-quality vacuum cleaner. This is our way of frugality and we never let miserliness creep in because once we let it, it’s hard to get rid of it. So, we assure we are frugal 100% of the time and stick to “frugal practices”. thats a great perspective! I think we’ve hit our balance in frugality and not feeling stressed about spending. It will be hard to drive some costs down more. I’ve started roasting my own coffee with a whirly pop popcorn maker. I get 5 lbs of beans for ~$28 delivered, you pick your variety. It’s been fun but more for fun than frugality but when it serves both well, that’s a win right? Same with home brewing. It still averages a dollar a beer or so, but it’s the fun of making it yourself. That’s what I love about your website. It isn’t preachy and you share your information with such fun and joy. What I have gotten out of reading your posts is a new mindfullness in my own life. My luxuries and priorities are what fit with my life and family but I stop and think about things more after being exposed to your frugal ways. Thanks and keep up the frugal work. I am really curious how you manage to get luxury but still you maintain your frugality. You are really an inspiration Frugalwoods. You really have to pick and choose luxuries. My husband and I share a 10 year old car. We also work at a boarding school and deal with less than perfect housing. Through that savings, we have plenty to afford what we chose as luxuries plus save for a someday perfect (to us) house and for retirement. But those are just the decisions we made. What are things you can do without? Where are places where spending money does improve your quality of life? Frugality (vs being cheap) requires a critical eye and the acknowledgement that spending money is also spending time. Like you, I try going without luxuries and figure out what I really need. I like pedicures . . . but I’ve figured out how to do them myself, and that feels just as luxurious (to me personally) as getting my nails done, plus less stress about getting to a nail salon. Travel is big luxury for us, and the occasional night eating out is too. Oh, and our biggest luxury: opera tickets! We go to three operas a year. Between tickets, dinner out, and a babysitter, those nights add up. But it is so worth it to have really fancy date night doing something we enjoy. Things I have given up that others love: makeup, coffee (well, never started), fancy cars, a huge TV, designer clothes. Just not worth my personal spending, though I don’t fault those who do love that. My luxury is our firewood! I really don’t know if it heats all that well, unless you sitting by it or in that room. But there is nothing that compares to a fire going, food cooking in oven, maybe glass of wine, and having my family home. I would give up a lot of things before I give up that wood. I guess my other luxury is my home. Our home, though we downsized to 1600 sq ft, is just perfect for us. Every day I feel so blessed to live here and in this neighborhood. Sometimes, I fantasize how we would be FI already if we lived in a cheaper cost of living area, but our quality of life, being able to walk everywhere, and free activities I am finding are just priceless. Also, if we refinanced this house to a 30 yr from our 15 yr, then we could be FI in 14 months. But I really just want to own this place so it is ALL. MINE (and my husband’s, of course). :0) 2 years to go! Being FI when he is still 38 is not terrible, right? Our luxuries are good beer and travel, and we’ll eat brown basmati rice and lentils to feed the dream, purchased in bulk, of course. We buy beer by the growler that can be refilled from our local brew pubs, and enjoy it responsibly at home with friends and neighbors as part of a Friday or Saturday dining treat. We travel in a unique way, that quite often has nothing to do with a hotel. We like student hostels and staying with locals. I work with many IT contractors from India, for instance, and we once spent two months traveling in India with a colleague who went back to get married. We attended the wedding, which lasts a month, and all the travel involved seeing all his and her relatives. We never had to stay at a hotel or get our own transportation. We naturally helped out with our part of the travel expenses, and had to pay for air fare, but traveling with a citizen made the trip very frugal. We gave a very nice wedding gift, too. Mrs. Frugalwoods, my husband and I love hiking! Can you tell me where the above picture was taken? 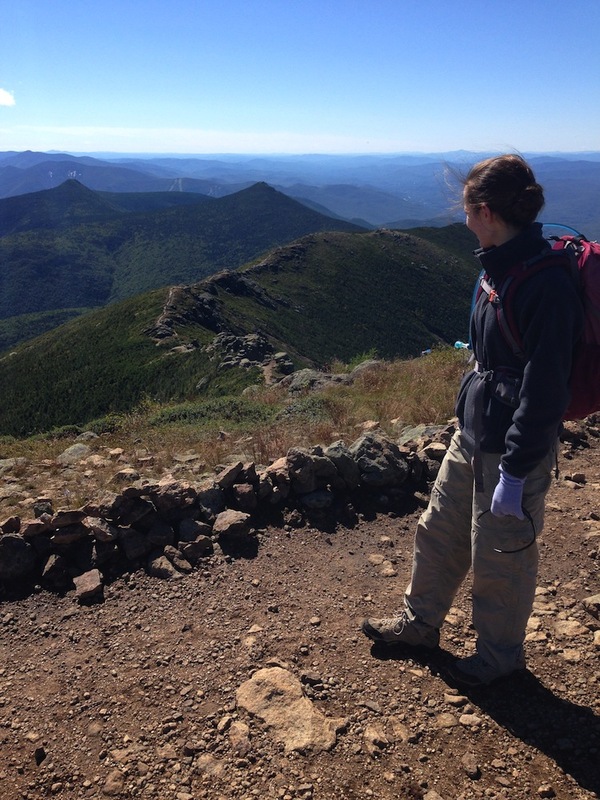 We love traveling to new hiking destinations, and the picture you posted above looks beautiful! That’s on Franconia Ridge in the White Mountains of New Hampshire. One of my top 5 hikes for sure :)!!! Love your approach! This is exactly the way I’m thinking!!! For me, as mom of two coffee is not a luxury, it’s a necessity! ;) And our luxuries pretty much revolve around kids, which is modest house in a good school community ( which of course has high taxes) and everything pertaining to kid’s enlightening and education ( sports, books, museum trips etc). Everything else: clothes, food, vacations, cars are not priority for us. I do love to look good, so I shop for clothes more than my husband, but really, not an impulsive shopper and try to shop on sales. Thank you for your blog! Great post, and thanks much for sharing older posts in your archives as part of Uber Frugal Month! I like your optimization strategy, it reflects my own philosophy although I think you are far better at it. In my household, I’m a frugal luxuries person, but I’m married to a miser. 🙂 (My husband is an immigrant who grew up with literally nothing, so he often has to be persuaded hard just to purchase basics. He slept on a wooden board and ate food scavenged from the street when growing up in China, so it’s hard to convince him to buy actual things like mattresses and fresh produce sometimes). I’m frugal but I also like professional massages and facials and spa visits. (I find ways to do it cheaply). It’s all about what you prioritize! Thanks again for your great blog.